Conversation Concepts has created another unique gift item that’s sure to be a hit! We designed a suit case, posed in an open position, with clothes and a sock hanging out the edges to use with our Tiny Ones figurines! Perfect for the traveling business man, or hotel guest, or the owner of a pet that couldn’t come along! This tiny brown suit case has a handle molded on it and the entire item measures 3” X 2” wide, and stand 2” tall. 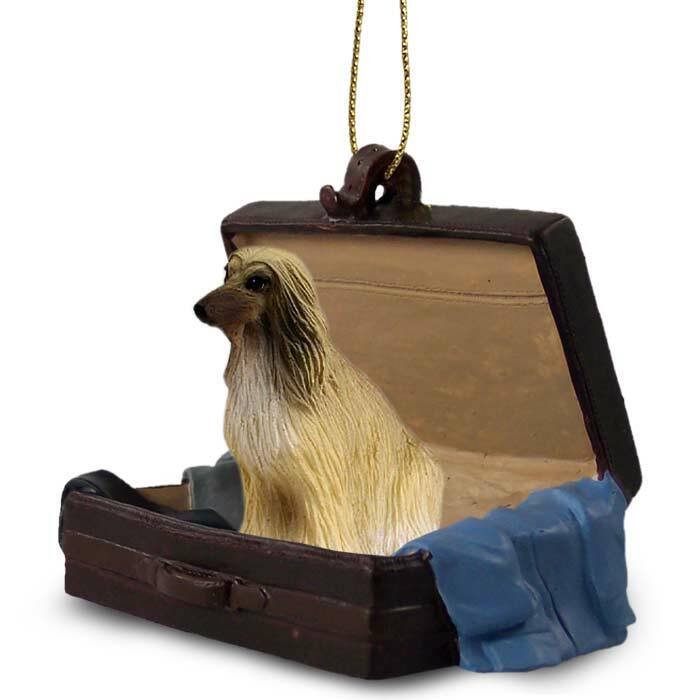 Made of stone resin, and carefully hand painted, this ornament comes with a gold tone cord so it can be hung, or it can be displayed on a shelf! These are individually blister packaged and ready to give as a gift, or hang in your store. Available with all our Tiny Ones figurines; dogs, cats, and animals!